Tamarind Rice is a tangy-spicy South Indian Rice variety, which is known for its long shelf life and great travel food. 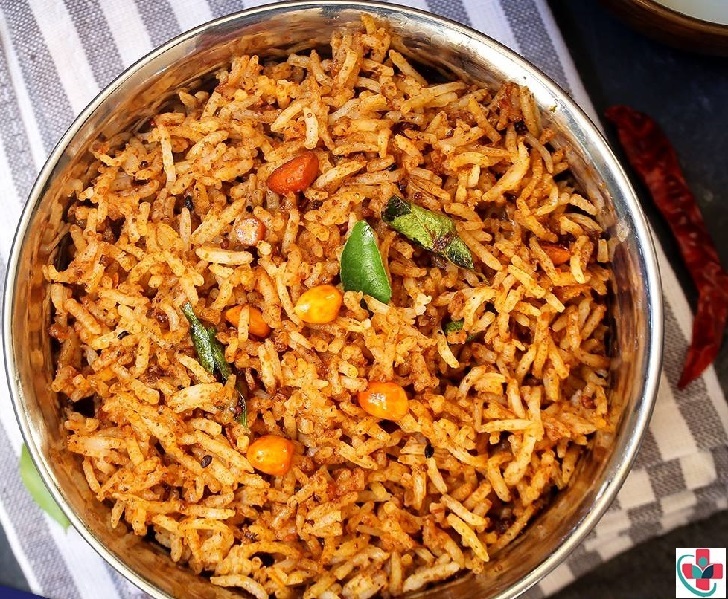 If you are going for a picnic or long journey and need food that can stay fresh without being refrigerated, then spicy tamarind rice is the right choice. It is considered to be a good stimulant for a dull appetite. But for me, I can relish this flavorful rice any time of the week or year. Soak the tamarind paste in water for at least one hour and extract the juice. Keep the juice aside. Heat the cooking oil in a heavy bottomed pan, add the tamarind juice, turmeric powder, chili powder, salt, pepper, and curry powder. Add enough water to make it thin and allow it to boil for at least 20 minutes or until the volume reduces to half. Mix the cooked rice with the tamarind mixture in small quantities depending on how tangy and spicy you want the rice to be. Add the peanuts to the rice, serve and enjoy. Recipe Tip: Leave the rice to sit for at least 30 minutes for the rice to soak up all the flavors of the tamarind.